Calcium propionate can be used to prevent mold from developing on food. 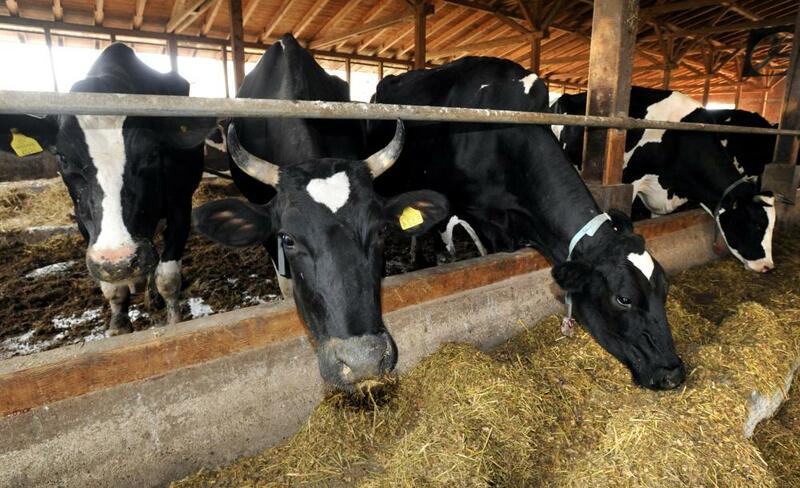 Calcium propionate can be added to cow feed to prevent milk fever disease. Calcium propionate is often used as a preservative in bread. Some individuals speculate that calcium propionate can contribute to allergy problems. Calcium propionate is found naturally in milk products. Calcium propionate, also known as “calcium propanoate” in some places, is a chemical commonly used as a food additive to ward off mold and other bacterial growth in a range of different packaged and prepared foods. It is a carbolyic acid and is the calcium salt of propionic acid, and has the chemical formula Ca(C2H5COO)2. One of its primary jobs is to break down and decompose certain amino acids that occur in nature, and can be found pretty easily in human and animal sweat, as well as in situations of bacterial fermentation. Modern manufacturers often synthesize it in labs and isolate it specifically for food production. It’s a common addition to many commercial bread products since it helps them resist mold and makes it possible for grocers to store them for weeks on the shelf. Commercial dairy products often incorporate it, too, and it’s commonly mixed in with a range of canned foods to help keep them tasting fresh. Sometimes it can be added to livestock feed to help prevent diseases, particularly among dairy cows. In small quantities it’s generally considered safe for human consumption, though there have been some reports of side effects and allergies. The compound works primarily as an inhibitor. In simple terms, this means that it works within a substance to stop the energy source that any development of bacteria would depend upon. As a result, the propionic acid prevents even naturally occurring bacteria from feeding since it destroys or at least blocks the enzymes that provide essential fuel for bacterial growth. Calcium propanoate is common in nature in settings where bacterial growth is likely, and it tends to be most prolific in moist, energy-rich environments. 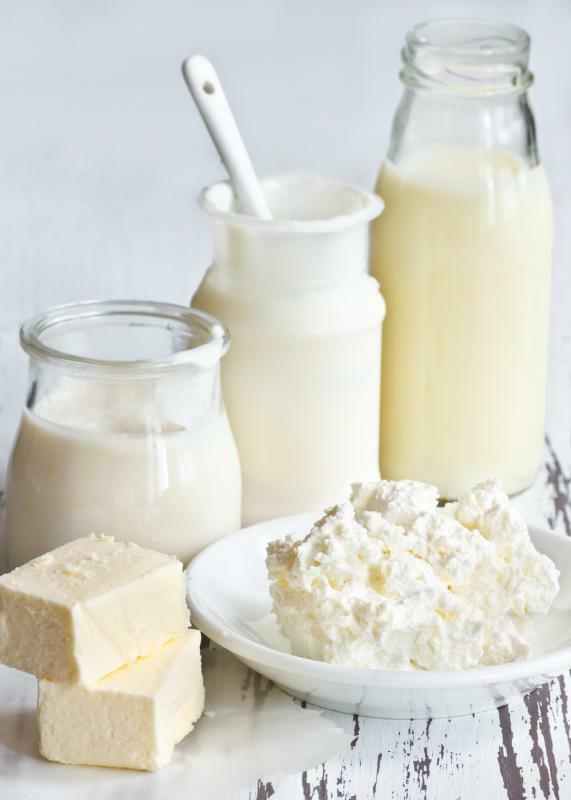 Raw milk generally contains trace amounts naturally. Researchers are also able to create it chemically, too, which tends to be a lot faster and less expensive than extracting it from pre-existing sources. The synthetic version is registered as "E number 282" on Table 3 in the Codex General Standard for Food Additives, a document written by the Food and Agriculture Organization of the United Nations and the World Health Organization. The "E" rating means that it is accepted by the European Union for the same applications and definitions. 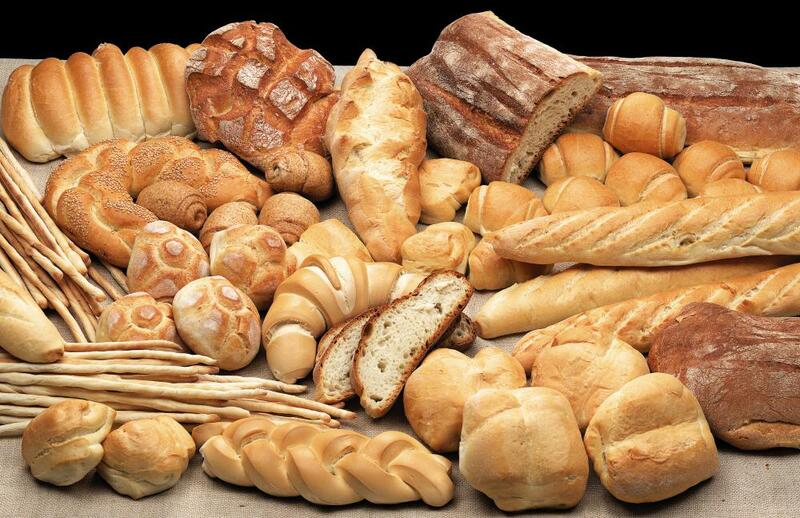 Calcium propionate is perhaps most commonly used as a preservative in bread and dairy products, since these are often at high risk of spoilage. The acid is typically added in small amounts, usually in liquid form, and works on the cellular level to prevent mold and bacterial growth. This allows retailers to keep foods looking and tasting fresh for far longer than they would otherwise, which can increase profits and sales margins; it can also benefit the consumer by allowing food to stay fresher for longer either on the counter or in the fridge. 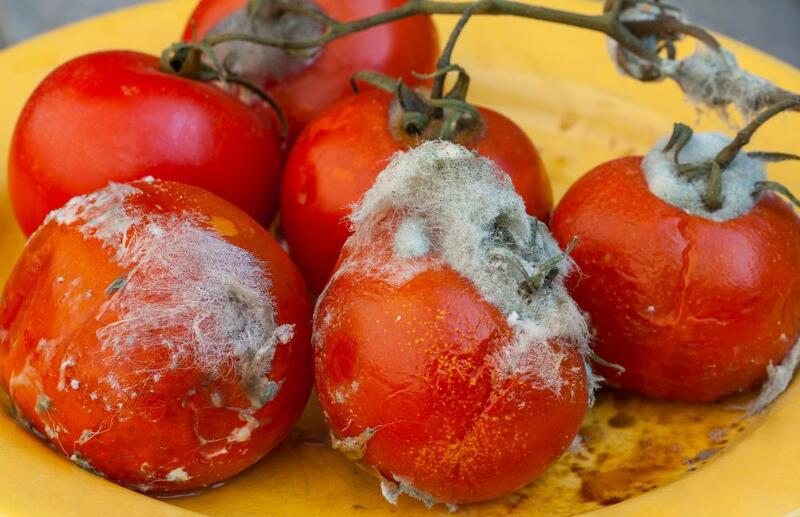 In addition to dairy and breads, it is frequently used in canned fruits, batter mixes, and other packaged and preserved foods where mold can occur. In these cases small amounts of liquid or crystalline propionate are usually added to cans, boxes, and packages just before they’re sealed. The additive doesn’t have a taste and doesn’t usually impact the overall quality of the food, aside from preventing spoilage. This acid’s ability to preserve and maintain biological balance also makes it attractive as an additive to livestock feed, particularly for animals used to produce milk. Sheep, goats, and dairy cows sometimes get food treated with this chemical from time to time, usually as a way to prevent the spread of milk fever disease. This is a blood disease that usually happens when milking animals are living in very close proximity to one another, and can contaminate the milk they produce and, in extreme cases, lead to serious illness and death. Farmers and ranchers sometimes also use the chemical in pesticides for food crops, though this isn’t common. There are usually several other more effective treatments to prevent mold and bacterial spread in plants. Some governmental organizations and food safety committees have described this compound as slightly toxic, but this rating is actually fairly common for food additives, particularly those that are only used in very small amounts. Toxicity generally requires far larger quantities of the chemical that could ever be eaten at once, even if vast quantities of treated products were consumed together. In food, it is added in concentrations of ranging from 0.1 to 0.4%, while in feed concentrations can be as high as 1%. In most cases, the body breaks down the calcium from the propionic acid and then processes it as a fatty acid. It is not stored in the body, and doesn’t usually contribute to any sort of long term or degenerative conditions. There has been some speculation from researchers that calcium propionate may contribute to migraines in some individuals, but there isn’t much evidence proving a definitive connection. 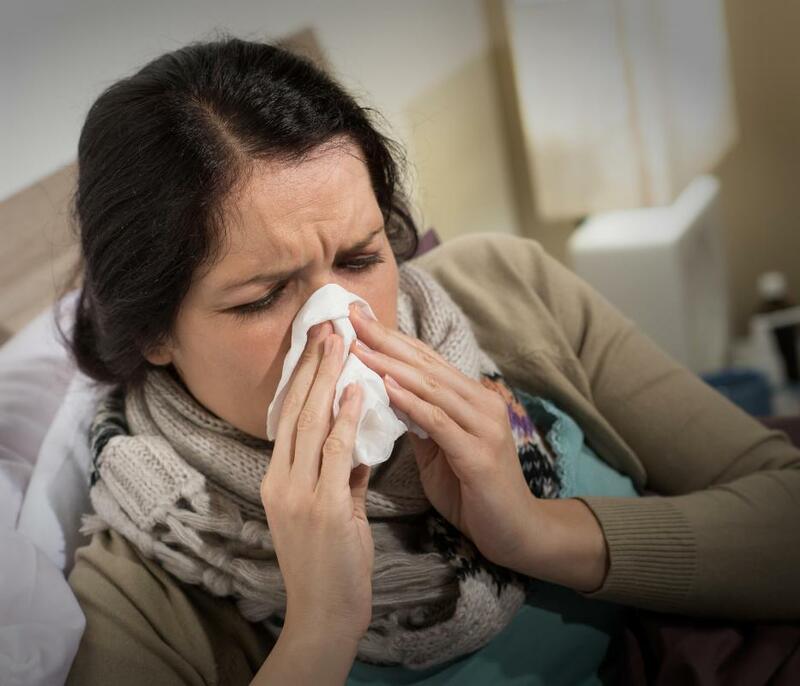 Claims that the compound contributes to mild allergies, such as sneezing and hives, have also been circulated, but again, there is little research to confirm this. The compound is found in a wide assortment of food products, so it is important for consumers to consider whether or not sensitivities can be attributed to the food product itself or to chemical additives, and if additives are suspected then all must usually be considered.